I will be the first to admit I’m a fair-weather fan…of any sports team really. Now that doesn’t mean I don’t like a good party or a chance to spend time with friends. You just won’t catch me paying much attention to the actual game until the last 5-10 mins. 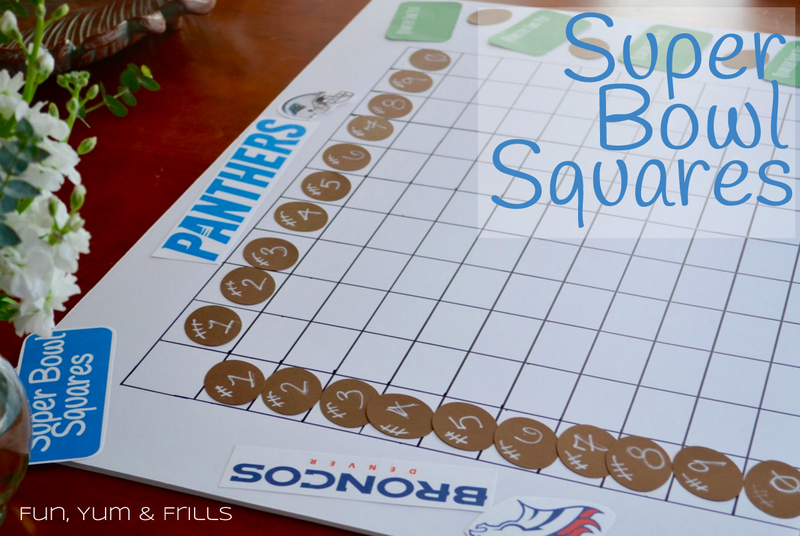 I know this will all change once my kiddos are playing but until then – I will be over here creating other fun games to do in conjunction with the football game to keep myself entertained 🙂 And so I give you Super Bowl Squares! Super easy to create (or download at bottom! ), scalable, gets everyone involved, you don’t have to know anything about football to play and includes a little gambling – how does that not sound like a winner? I made one of these boards last year when we hosted a super bowl party (because the hubbies’ Pats were playing). I embarrassingly went through I think THREE poster boards before I finally got my dimensions right – at least they’re cheap right? So this year I made a fail proof template and am sharing with yall! 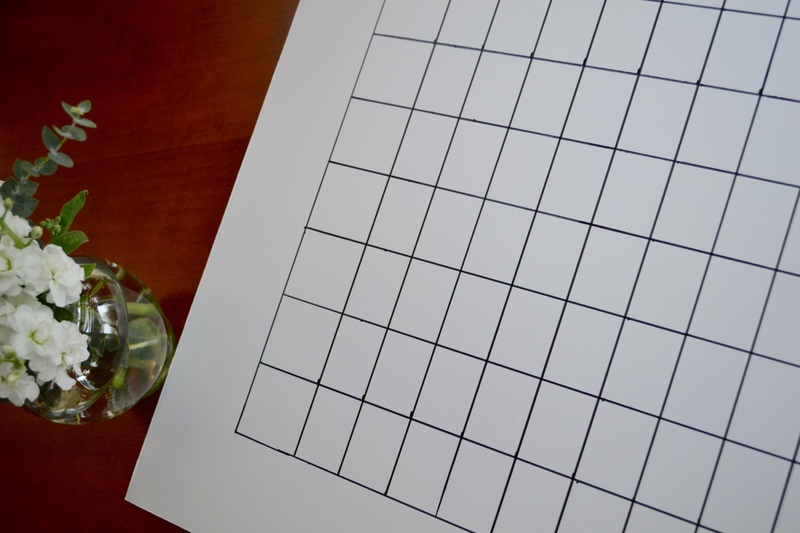 Decide how much each square will be worth: $1, $5, a piece of great grandma’s secret recipe caramel squares. 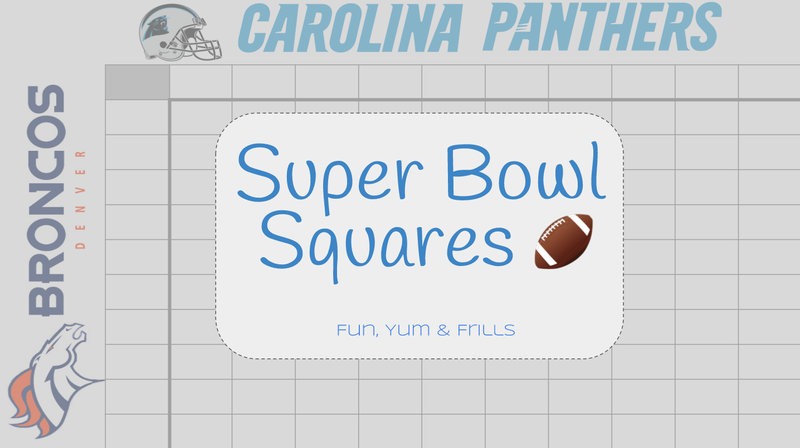 All players purchase a square or squares (before the numbers are placed on the board!). You can have people sign their name on a square, give them a little token when they purchase and stick it to a square, actually sign their name on their money and pin it to the board, etc. $ goes to the winner of the next round! Before the end of the first quarter (this allows some late arrivals to purchase squares! ), randomly assign numbers 0-9 to both axis. I like to put numbers in a hat and get everyone involved in the drawing. 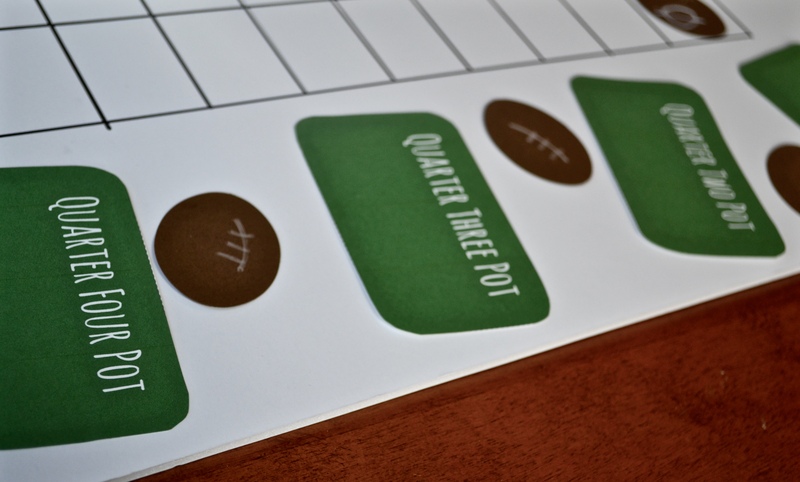 At the end of each quarter, take the LAST number in each team’s score and find the coordinates on the board – that is the winner for that quarter! An example: end of 1st quarter and Broncos are up 14 to 7 – you’ll find the 4 on the Broncos’ axis and the 7 on the Panthers’ axis, where those meet is the winning square. 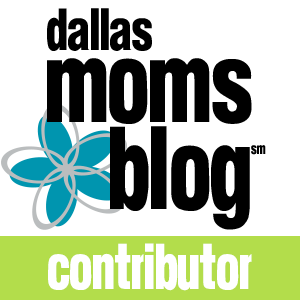 HOW TO ALLOCATE FUNDS: you can do this any way you want. We did an even 25% of the pot for each quarter but some people do more of a 20/20/20/40 split to add that extra oomph to the last quarter. 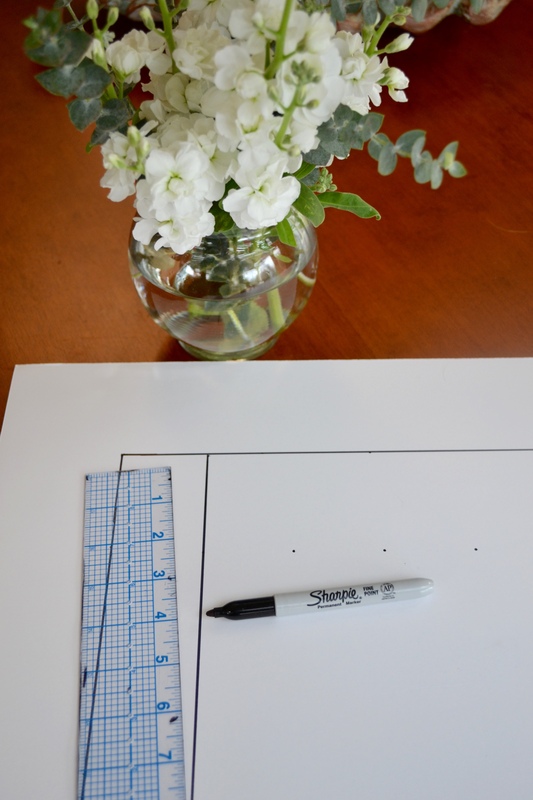 First off, pick yourself up a 20″ x 30″ foam poster board (you can do the regular thin poster board and use the below template too – you’ll just have some extra space at the bottom and less on the right side). This is the one I got from my local Neighborhood Wal*Mart. 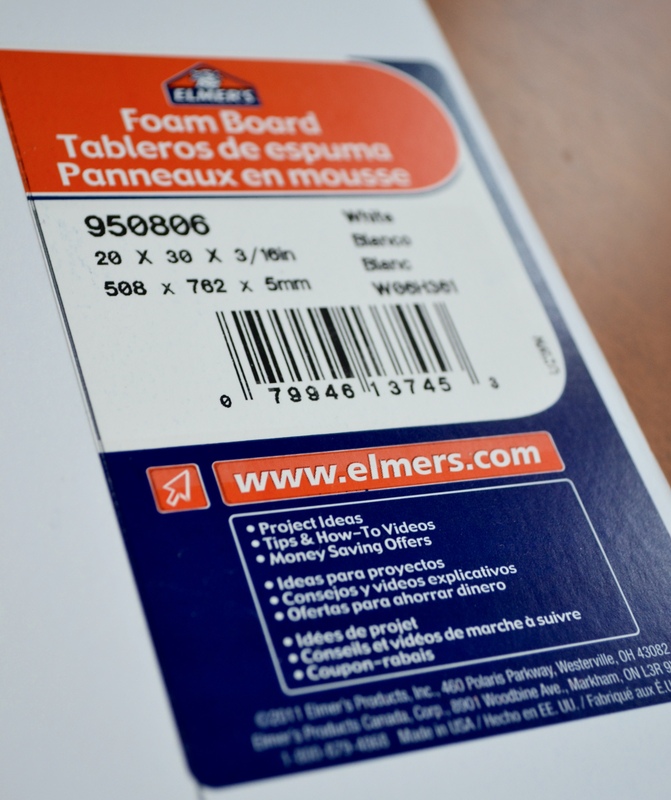 Lay your board out so that it is long ways (30″ long x 20″ high). 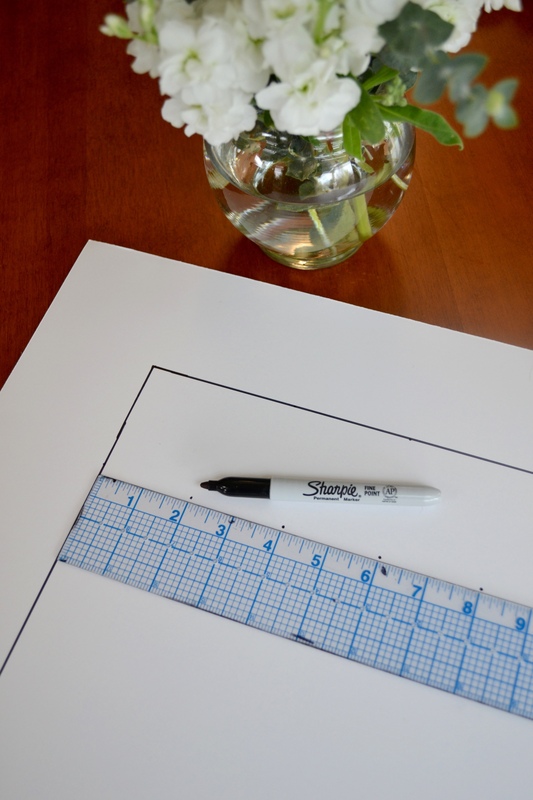 Now, starting in the top left of your poster board, hold your ruler vertically, move about 5″ to your RIGHT and measure DOWN 3″ from the top. Make a dot here. 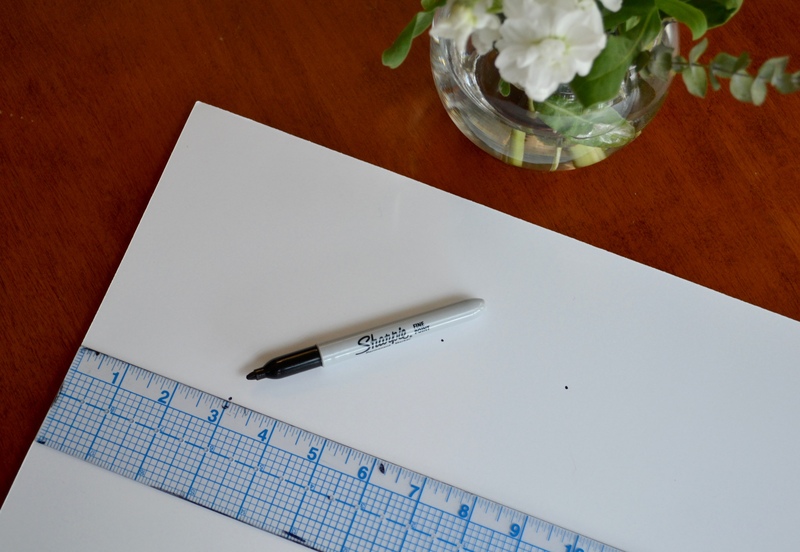 Moving towards your right, continue making dots at the 3″ mark until you hit 25″ across the board (leaving 5″ of empty space on the right side of the board). Move back to your starting place and repeat this same action in the opposite direction. 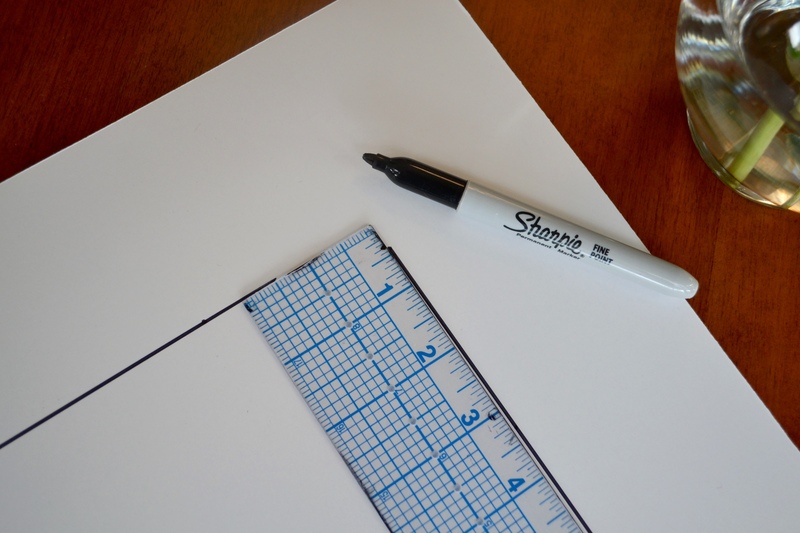 So, that means put your ruler horizontally, move DOWN about 5″ from the TOP and put a dot 3″ in towards the middle. Follow suit moving DOWN the board. Now it’s time to connect your dots! HOWEVER, be careful not to go all the way on the corners, leave a gap like below so you can close it nicely. To close this gap nicely, use the edge of your ruler as your right angle. 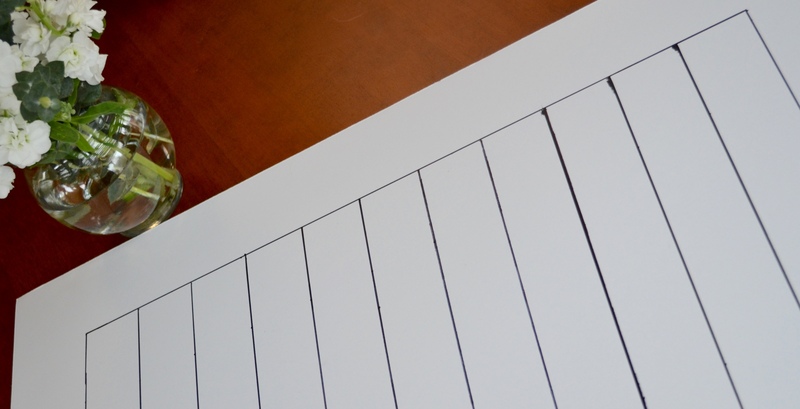 Repeat this on the right side (reference template – you’ll be 3″ DOWN from the top and 5″ LEFT of the end of the board). You’ve now created the barrier for your grid! The rest is super-duper easy! 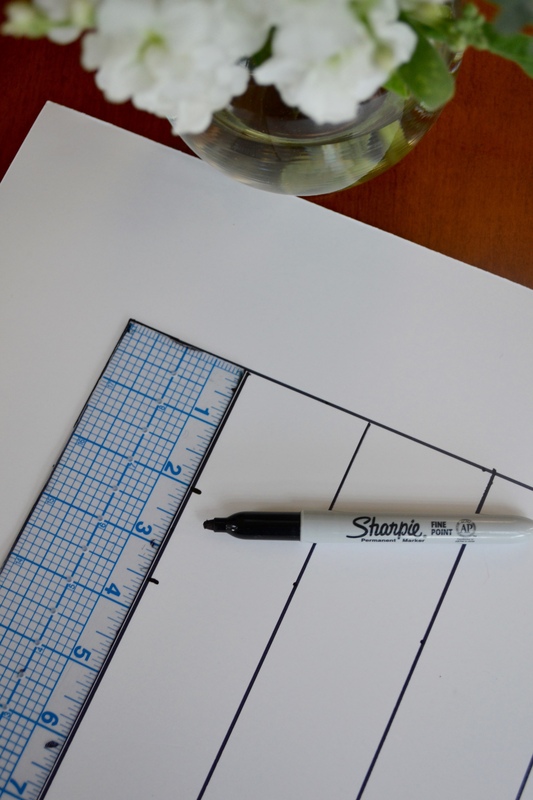 Starting on your left edge of your barrier, place your ruler horizontally and make 2″ dots all the way to your right edge barrier. Same as before, move down and repeat this a couple of times. Voila! Your vertical lines are DONE! You’re almost there! Just need those horizontal lines. 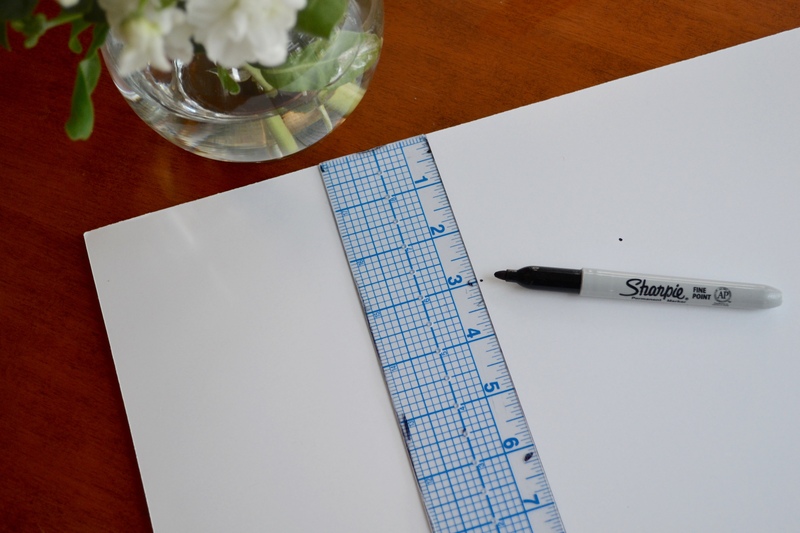 With your ruler in the vertical direction, make your first dot 2″ down from the top. 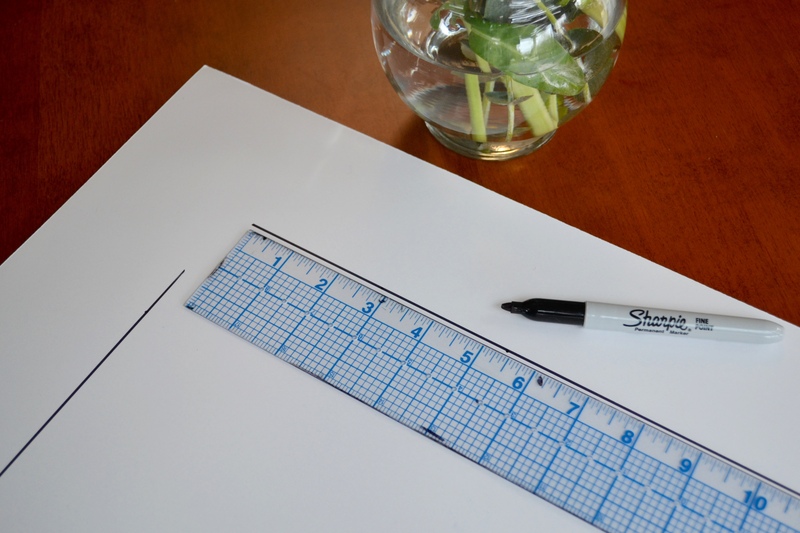 After the 2″ one, you’ll do dots every 1.5″. 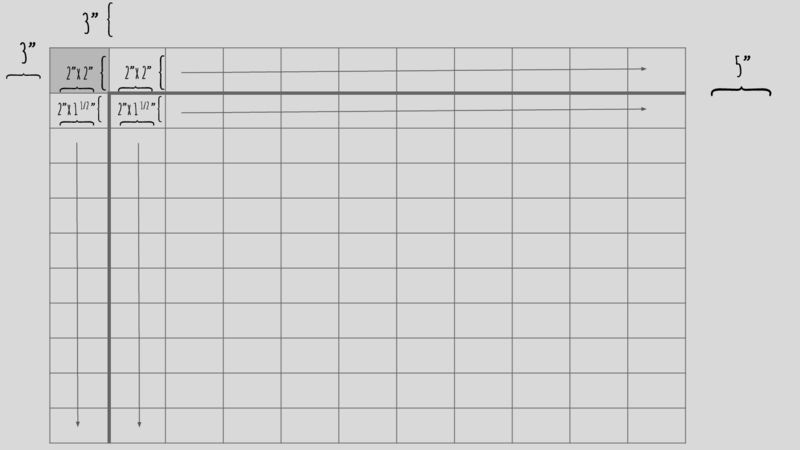 And here is your nice, straight, flawless (mostly) grid! At this point you can decorate and assign names however you like! 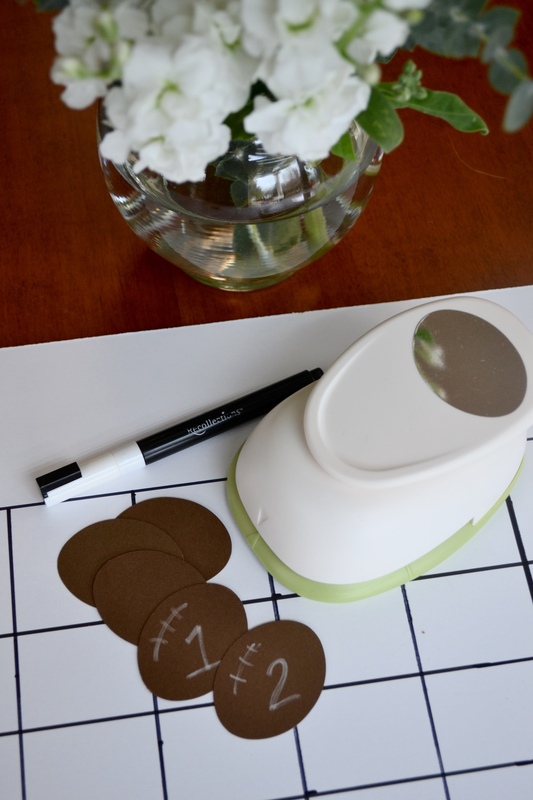 My personal touch was to take my oval paper puncher and make little footballs for my numbers 🙂 I put a little scrapbook sticker on the back of these so that when we do the number drawing and assigning, they’re easy to adhere to the board. You could also use push pins. My spare 5″ on the right is being used to house our quarterly info – however we choose to do it. Quick web searches for the team names and logos decorated the top and left sides – naming my axis. Get creative or keep it simple – the game works the same!